Poet and prose writer, recipient of the European Union Prize for Literature (2014) and the Czech Book Award (2014), he was also nominated for a Magnesia Litera (2014) in the prose category and the Josef Škvorecký Award (2014). He has also been nominated for the Jiří Orten Award (2010). His works have been published (or the rights sold) in nine different languages including Italian, Polish and Hungarian. [A History of Light] represents a remarkable and substantial experiment, offering an account about Drtikol, the history of photography as a new art form, the cultural climate of the incredibly interesting and turbulent period around the end of the Austro-Hungarian Empire, the First World War and the 1920s, but also about the narrative possibilities of contemporary novels. He is the son of the writer Ludvík Němec. He studied sociology and religion at Masaryk University and dramaturgy at JAMU (Janáček Academy of Music and Performing Arts). His is an editor at Host publishing house and works for the magazine of the same name. 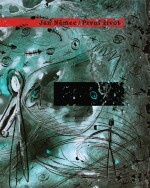 His poetry debut was the collection První život (First Life, Větrné mlýny, 2007). 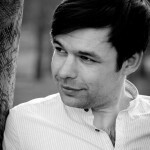 He was nominated for the Jiří Orten Award for the short-story collection Hra pro čtyři ruce (A Piece for Four Hands, Druhé město, 2009). In a review for iLiteratura.cz, Karolína Jirkalová wrote, “What is outstanding about the whole collection is its internal cohesion. 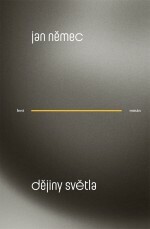 The basis of this cohesion is indicated in the book’s subtitle – Málem milostné povídky (Almost Love Stories). Relationships form the subject for all of the stories – whether they failed to develop for varying reasons, or where fulfilment was found through some kind of vicarious object. The second situation is understandably more harrowing and not only because of the number of semantic and symbolic associations which it creates. All of the stories are narrated from the perspective of a man who creates the image of a goddess in his mind and then transfers that onto a real woman.” Němec has had other short stories published in collections and anthologies.